Cold fronts are normally identifiable from their cloud signature on satellite imagery. Of course, air mass boundaries can exist without condensation: density changes and air flows can exist without clouds particularly in dry and hot air. Summer front can cross the UK with just low strato-cumulus. In the Mediterranean, cloudless density boundaries one day give potential for fierce thunderstorms the next. The 23 Mar 2016 was a case in point. 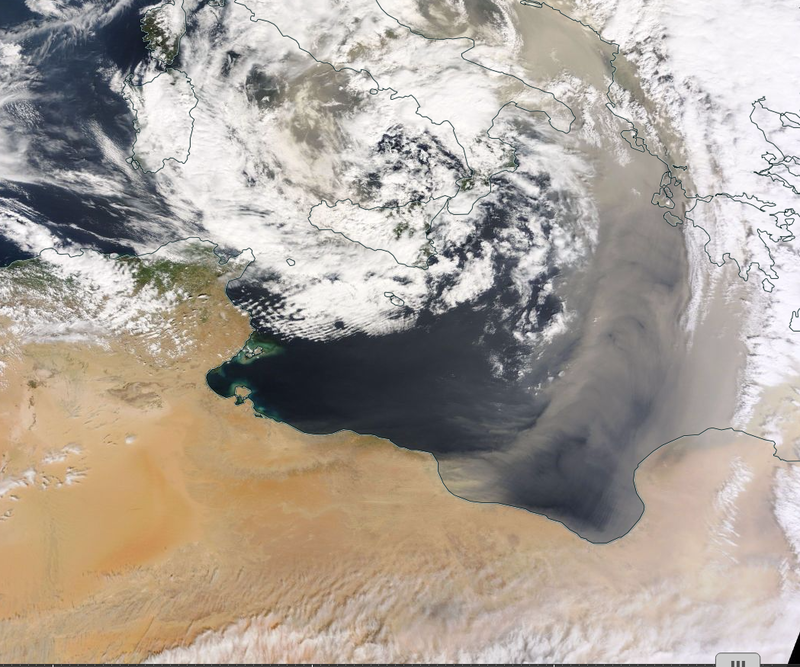 Over the Eastern Mediterranean we note a conveyor belt of air dragging sand northwards from the African deserts. No clouds but a cold front none the less.